Panagariya cited several examples of how western universities are very stringent about not extending leaves, which is what forced him to return to Columbia University. Panagariya said he was not told that his term would run concurrently with that of the PM. 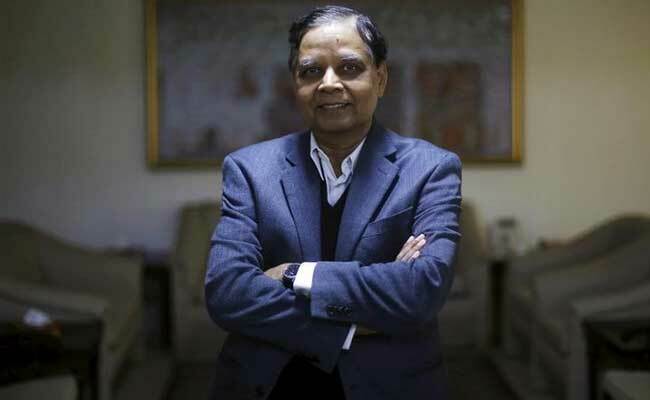 New Delhi: Arvind Panagariya, who abruptly resigned as vice-chairman of NITI Aayog to resume teaching in the US, said on Tuesday that he did not know at the time of joining that his term will be co-terminus with that of the government even as he dismissed suggestions of two power centres forcing his exit. In an interview with PTI, Panagariya, 64, cited several examples of how western universities are very stringent about not extending leaves, which is what forced him to return to Columbia University at the end of the month even though the Prime Minister's Office wanted him to continue till 2019. On being asked that if he knew of such rules why he did not make it clear to the government about his return to teaching when he was appointed the first vice chief of the policy body in 2015, he said he was not told that his term would run concurrently with the term of Prime Minister Narendra Modi. "I did not know my tenure will be co-terminus with the government, how would I know? Is there a letter?" he said, adding he accepted the appointment after a phone call came from the Prime Minister's Office. On the phone, he said he was told he will be vice-chairman and "beyond that I knew nothing. I said OK. I want to do this so I accepted." Panagariya, who took over the reins of a body that was set up after dismantling the Planning Commission that used to set five-year growth roadmaps, dismissed reports of any differences or dual power centres in NITI Aayog were reasons for his exit. "No, no, no," he said, when asked if the numerous occasions NITI Aayog had difference of opinions with other wings of the government was the reason for his exit. He also dismissed existence of dual power centres in NITI Aayog saying, "You go and talk to my staff." "You have to ask those who are writing those reports ...I can only tell you (that) no institution can run with two or more power centres. There has to be one power centre," he said. The erstwhile Planning Commission, like the NITI Aayog, was headed by Prime Minister and had a vice-chairman. It, however, did not have a CEO. Also, unlike the last Planning Commission vice chairman Montek Singh Ahluwalia, Panagariya though enjoying cabinet rank, does not attend Cabinet meetings. Panagariya is scheduled to leave Niti Aayog on August 31 and will be succeeded by well-known economist Rajiv Kumar. "You will have to ask those (who talk of differences being the reason). I can only tell you what my interaction with the Prime Minister was. The whole matter was initiated by me not by the PMO and the Prime Minister's Office very keenly wanted me to stay here longer meaning till 2019. And that upon consultation with the university, I came to conclusion that leave won't be extended," he said.